Why Are Prepaid Currency Cards So Popular? Prepaid currency cards are safe and convenient way of buying foreign currency. They can also save you money on your travels. Travel experts have estimated that you get on average between 5 to 8% better currency conversion rates by securing the currency rate in advance. In most cases you will need foreign currency when travelling abroad. You can buy the foreign currency you need before you leave your country or when you arrive at your destination. There are many ways to buy foreign currency but the way you choose will affect how much your trip will cost at the end of the day. The most popular ways in recent years has been to buy cash or travelers cheques beforehand, or to withdraw money, with either debit or credit card, from ATM machines at your destination. Prepaid currency cards have increasingly taken over some of those methods, either partly or fully. Buying cash is getting less and less popular, mainly due to security reasons. Nobody wants to travel with lots of money if they do not have to. 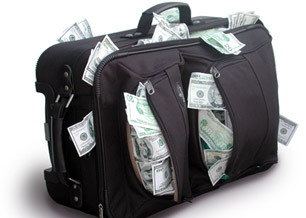 Carrying cash makes you vulnerable for theft and even if some insurance policies include lost cash there is usually relatively low limit to the amount and you must pay relatively high excess. Travelers cheques are numbered and can be blocked by your bank if lost and stolen. This offers you extra security but the drawback is that it can be hassle to get them changed, fewer and fewer outlets beside banks now accept them. Furthermore, the cost of exchanging them abroad is usually high and the exchange rate is not in your favor. Withdrawing cash from ATM machines when you need it is very convenient way of obtaining foreign currency. You can use either debit or credit card to withdraw cash. It is always cheaper to use debit / cash card then credit card. This is because withdrawing cash on your credit card is a loan that you pay interest on, actually quite high interest. While withdrawing cash from your cash card is using your own money and therefore no interests are charged. There is usually fee involved withdrawing cash whether you use debit or credit card. You should always check your bank fee structure before you travel. Those that travel frequently should try to find card that does not charge any fee when withdrawing cash. Prepaid currency card addresses most of the above issues. They are safer than carrying lot of cash, less hassle than changing travelers cheques and as convenient to use as debit or credit card... and to top it all, likely to offer you the best currency exchange rate. Buy your Prepaid Currency Card online now, it is easy and secure. You can also fill in the details in the foreign currency box below, it is as easy as that. Why Use Prepaid Currency Card? Prepaid currency cards are getting increasingly popular and understandably so. They are safe, easy to use and can save you money on your international travels. They are travel money cards that work just like your cash card, that is, you are spending the money in your own account. This is however separate account from your current account, making it safer to manage your currency cards through an internet connection abroad. Prepaid cards save you money too. Travel experts estimate that by securing your travel currency exchange rate in advance you will get on average between 5 to 8% better conversion rates on your travel money exchange. That can save you significant amount on each trip you take. Most travel money card suppliers also offer free ATM withdrawals, which can save you some additional money when travelling abroad. It is no surprise why currency cards are considered the new way to spend your cash abroad. It is easy to buy your Currency Card Online . You can also fill in the details in the foreign currency box above. Just choose Prepaid Currency Card, fill in the currency and amount, and press Buy Now. It could not be more convenient. You can find more information about Travelex and the service they offer here at Top Travel Tips.